This article was originally published on Kinja by Kaycee Wegener: How to Breakup with Your Landlord. 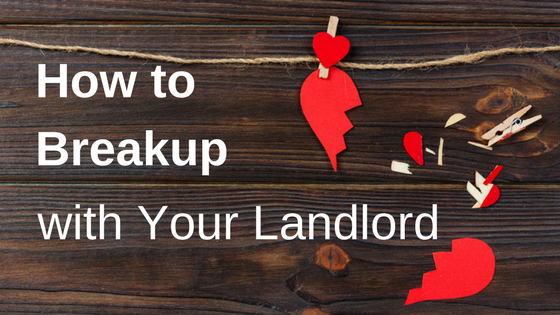 While perfect breakups may be few and far between – especially when it comes to a significant other – there are ways you can call it quits with your landlord that leave you both feeling good about the split. Whether you bought a new home, are relocating for a job, are moving in with that special someone, or simply don’t like your current living situation, you need to professionally transition out of your rental home the right way. Ending a rental tenancy the right way, means doing it legally and in a way that leaves both you and your landlord happy. Plus, the better the landlord break up, the more likely you’ll avoid lease breaking fees. The wrong way to breakup with your landlord. Never leave a rental without communicating to your landlord. Don’t assume you are free to move out the moment your year-long lease is over. In a lot of cases, your rental agreement will include language about a year-long lease transitioning into a month-to-month agreement after the term ends. In the case of a month-to-month lease, you will need to give your landlord notice to move out. Depending on your state laws you may have to give your landlord official notice to vacate anywhere from 20 days to 60 days prior to your planned move-out date. 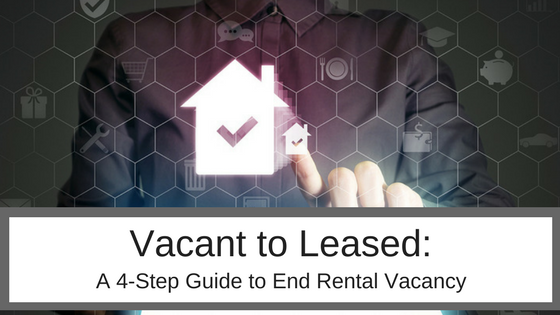 Most states require tenants to submit a 30-day notice to vacate. Your planned move-out date should be the last day you will pay rent and when you give your keys back to your landlord, relinquishing all rights for tenancy. 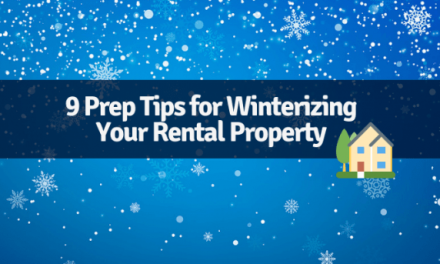 Don’t abandon your rental property. In some cases, renters may decide to completely abandon their rental property, leaving a bunch of their stuff behind. Abandonment is even worse than failing to communicate in terms of landlord breakups gone wrong. In the relationship world, this “ghosting” is one of the worst ways you can break up with someone. So don’t ghost your landlord, either. Did you know if you move out and leave stuff behind, your previous landlord can’t just throw it away? Even that old TV that doesn’t really work. Landlords are only allowed to throw out rotting trash. That means that he or she can’t even throw away a garbage bag filled with clothes. Abandoned renter property is a huge hassle to deal with: a landlord has to itemize everything, store the items for a specific amount of time, then sell the items at auction and turn that money over the county. Talk about a nightmare! Additionally, the tenant will be financially responsible for the cost to do all this. So if you are leaving your rental because you missed a rent payment, now you will have additional abandoned property fees added to your bill. It’s way better to talk to your landlord if you are having financial problems and need to move out (plus then you get to keep all your stuff!). The right way to breakup with your landlord. 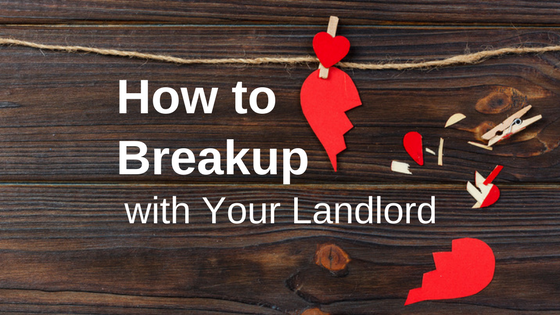 Fortunately for you, a landlord breakup is as easy as it sounds and leaves both parties with no hard feelings. Here are the steps to take to end your rental tenancy the right way. Give your landlord or property manager a call, and tell them you plan on moving and that you want to know the steps you need to take to provide proper notice. They will be able to tell you how much heads up you need to give, typically 30 days notice. You should be able to find this information in your lease, but calling your landlord might be a little easier than flipping through a lease agreement. A great tenant will give the property manager a heads up well before 30 days. While your only legal obligation is whatever the time frame your lease states or state laws require, your landlord will appreciate knowing your plans as soon as possible. The more notice you give, the more time your landlord has to market the property and fill the upcoming vacancy. While you can tell your landlord via phone call about your plans to move, do not submit your formal notice to vacate until the required deadline. This gives you some protection in case your plans to move fall through and you need to stay. Once you submit a formal notice to vacate, you can be required to stick to that notice and move out on the date it says. After your initial phone call, follow your landlord’s instructions for how to submit a formal notice to vacate. Some larger apartment complexes or corporate property management companies have a form for you to fill out. Otherwise you will need to mail or deliver a formal Notice of Intent to Vacate. The Notice of Intent to Vacate is just a simple letter that tells your landlord what day you plan on moving out and where to send your security deposit. If only real breakups could be as easy as following this letter template. This is my formal written notice of intent to vacate and end my tenancy at [address of your current rental] on [Date of Planned Move]. Per the lease agreement, this letter fulfils the [Number of Days to Vacate]-day notice requirement. Please send my security deposit of $___ to the provided forwarding address. If you have questions prior to move-out, I can be reached at [phone number] or [email address]. Include the date you are submitting the notice, the date you plan to vacate and a forwarding address. You do not need to provide a lengthy reason for leaving. Landlords use this as official paperwork for their records. Pay attention to the date of your notice. Try to coordinate your notice delivery with a rent deadline. Just be careful, if you typically pay rent on the 5th of every month, and turn in your 30 days notice with your rent check, you could be required to pay rent through the 5th of the following month (not the 1st like you thought). This notice of intent to vacate will only apply if you have the legal right to move out of a property. As in, your term-lease is over or you are a month-to-month renter. If you are in the middle of a lease, you cannot simply turn in a Notice of Intent to Vacate and expect to move out no problem. When you signed a lease agreement, you agreed to pay rent throughout the entirety of term. If you need to move out early, you will need to take different steps to break your lease agreement. You did it! A landlord break up is a simple as that letter. Here are couple of tips to make sure all the loose ends are taken care of. Ask for move-out instructions: Your landlord may have specific move-out requirements, like getting the carpet professionally cleaned. Complete a move-out inspection: Ask your landlord for a move-out inspection at least a week before your intended move-out date. This inspection gives your manager a chance to point out areas you need clean or damage that needs to be repaired in order for you to get your security deposit fully refunded. Be Courteous: This landlord will serve as a reference for future rental applications, so you want to be sure to end your relationship on a high note. Be flexible about coordinating showings of the property to rental applicants. And try to be receptive towards negative feedback during the move-out inspection. One of the best parts about a landlord breakup is that big chunk of change waiting for you when your security deposit gets returned. Ask your landlord when they plan on returning the security deposit, as most states have specific laws about the time-frame to return these funds. You should also check out information about Security Deposit Laws, to have an understanding about what types of deductions you could expect to be taken out of the refund. So take note, renters. While Cosmo may give you a front-cover outline of the 10 Worst and Best Ways to break up with your partner, you may have to consider a few more outlying circumstances when it comes to breaking up with your landlord. Be thoughtful, courteous and professional, plan ahead and pay attention to guidelines. You’ll land in the “friend” zone with no problems!